Every year another survey shows that Americans view journalists as residing somewhere between bottom-feeding lawyers and pond scum. Not that some members of the media don't deserve our scorn. Certainly, some journalists, or what passes for a journalist on cable TV, are in part responsible for the divisive state of American politics, where noise and volume are esteemed above reason and compromise. But at its heart, journalism is about serving the public — first, by going where average people have neither the time nor the inclination to go. To city council meetings. To crime scenes. To war zones. And then: relaying what was learned as honestly and candidly as possible. There is something worthy in that endeavor, and the sacrifices of our journalists can be enormous. Just today, news broke that militants from the Islamic State claimed to have beheaded American journalist James Foley, who was kidnapped two years ago in Syria. The same group claims to have another captured journalist, Steven Sotloff, who it intends to kill if the United States continues airstrikes in Iraq. 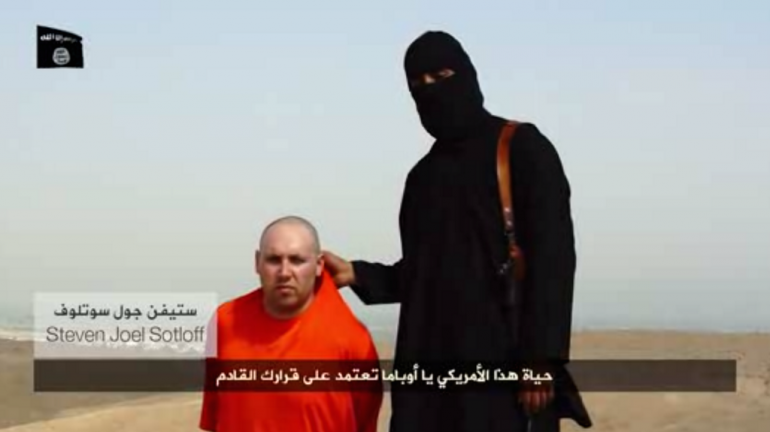 The man being held is believed to be journalist Steven Sotloff. Meanwhile, New York Times reporter James Risen is fighting the Obama administration's efforts to force him to reveal his sources for a story in his 2006 book, State of War: The Secret History of the CIA and the Bush Administration. He could end up in prison if he doesn't relent, but the charge against Risen isn't about lying — it's about revealing secret truths. And in Ferguson, Missouri, reporters are stocking up on gas masks and bullet-proof vests, while 11 cohorts have been arrested covering the protests. Journalists aren't saints. Many are jackasses. But the vast majority believe in what they do, and do it despite the pay scale or the public's disdain or the very real dangers they may encounter.